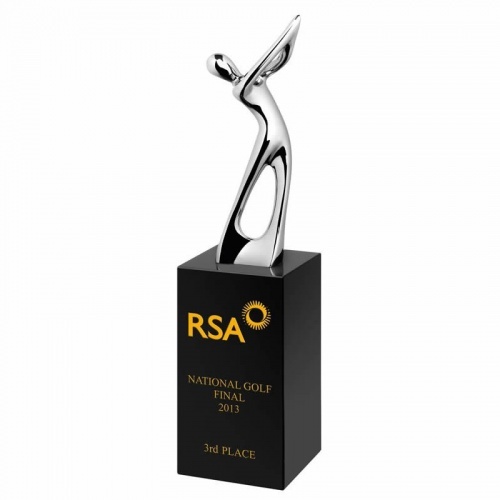 These modern golf trophies feature a stylised figure of a golfer in silver finish metal, set on a black crystal column. Available in three size options, these versatile awards can be engraved on the flat front of the column. 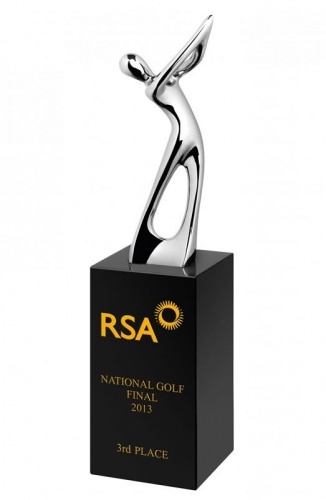 These black crystal golf figure awards are supplied in an attractive blue foam lined presentation box.